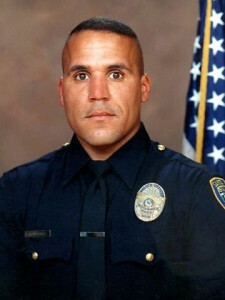 Officer Ricardo Crocker was a 10 year veteran of the SMPD and a Marine Corps Reserve Major. Officer Crocker was killed by a rocket propelled grenade while on tour and in service to his country in Iraq in 2005. His memory has been memorialized by dedicating the Santa Monica portion of the 10 freeway in his honor.